What the fuuk is going on? 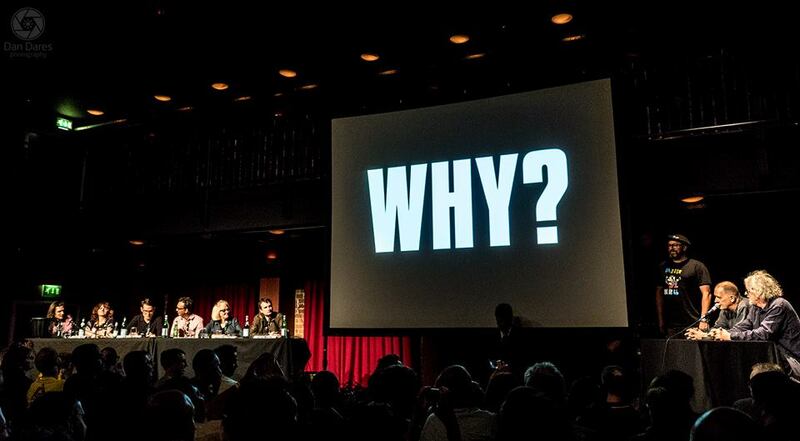 There were plenty of times last week that we asked ourselves that question and we’re still uncertain of the answer… What we are certain of however, is that Bill Drummond and Jimmy Cauty are still as unpredictable and visionary as ever and even more importantly, what we witnessed confirms that the new form of artistic gathering we’ve been watching develop over the past few years is finally beginning to crystallise and meaningfully affect our culture. 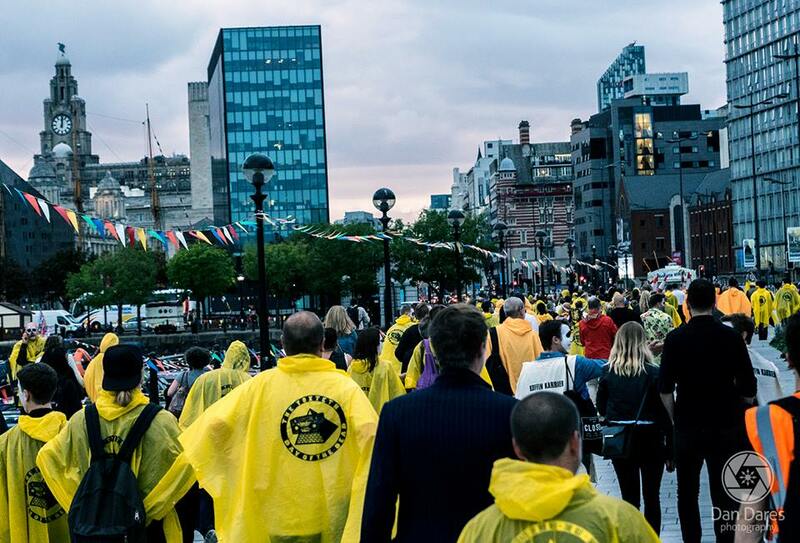 Over the four days The Justified Ancients Of Mu Mu set up base in Liverpool, 400 ‘volunteers’ were taken on a journey beyond the realms of ordinary imagination. What occurred has roots in the sixties idea of a ‘happening‘ but this happening arrived in a highly evolved form that responds directly to the times we’re in now. Not only did Welcome To The Dark Ages enable a kind of collective creativity that broke mechanical thinking by throwing people into a series of bewildering yet highly exciting situations, but it also, more than anything, showed the possibilities in adding new meaning and significance to our mislead and all-but spiritually dead world. The Justified Ancients of Mu Mu’s new book was at the centre of it all. 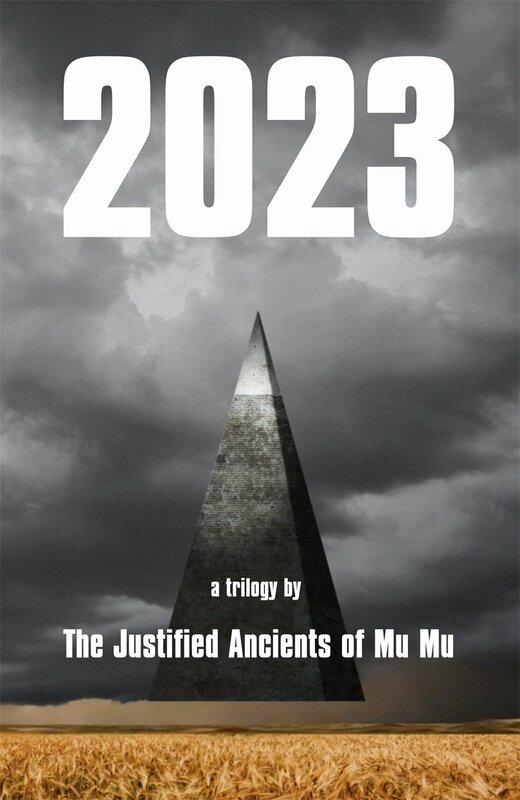 Adding to their own heady mythos, ‘2023‘ is an intriguing, self-referential dystopian trilogy set in a parallel universe where Drummond and Cauty are undertakers (more on that later) and their career as The KLF is reimagined in two women, Tat’jana and Kristina, based in the Soviet state of Ukraine. Tat’jana and Kristina penned a book called ‘Back in the USSR’, which they’d based on a novel by George Orwell – who, in this world, is actually just a pen-name for Roberta Antonia Wilson. The novel was ‘The Twenty Twenty Three! Trilogy’ and after obtaining a Ukrainian version, the undertakers Cauty and Drummond translated and published it through Dead Perch Books, blurring the fiction into reality. Rich in symbolism, hidden meaning and potent satire, ‘2023’ was slowly unravelled, (mis)interpreted and manipulated by the 400 as the week progressed. The book became a living entity as its world burst out of the pages and spread around Liverpool. 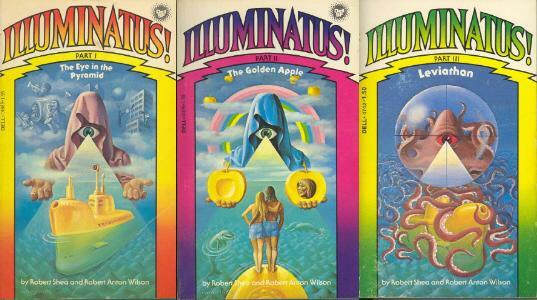 When asked about why he wanted to adapt Robert Anton Wilson and Robert Shea’s ‘Great American Novel’ for stage, Ken Campbell replied, “basically, we wanted an excuse to live inside ‘Illuminatus!‘” – this felt like exactly the same thing. 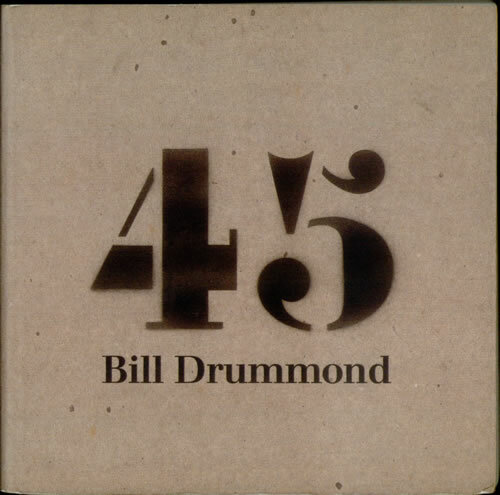 It had been a formative influence on Bill Drummond when he had been one of those living inside ‘Illuminatus’, and just over 40 years on, the 400 were thrown right into the heart of his and Cauty’s literary mindfuck, creating a landmark few days. Drummond and Cauty headed into the radical bookshop, News From Nowhere where their new book had been made commercially available to the public for the first time a few moments earlier. Whilst people queued to get their books stamped by the JAMs, Jura whiskey bearing the Eye of Horus was shared amongst the revellers, including many of the usual suspects you’d expect to find at such gatherings – it soon became an impromptu Erisian block party. The Dead Perch Lounge AKA The Static Gallery at 23 Roscoe Lane, acted as a base of operations during The Dark Ages but the 400 were taken all over the city – Daisy Eris Campbell and Oliver Senton would act as masters of the ceremonies. Daisy had followed in her father’s footsteps by masterfully adapting ‘The Cosmic Trigger’ RAW’s follow-up to ‘Illuminatus!’ in which Oliver Senton captured the essence of the author and lead role. Both are due great respect, with the Dark Ages being such a colossal beast – an elephant on stilts – the whole thing could easily fallen apart but they held it together at the core and made it truly heroic. They were waiting for the 400 as they flocked to Constellations the on the Wednesday morning to receive their jobs. What they were given included; skull-painters, public hearing officials, koffin karriers, collectors of; buddleia, ragwort, traffic cones and shopping trolleys, 4 bass players to make up Badger Kull and of course some super fans for this newly created band, who are already topping the bill for the Graduation Ball two days on. 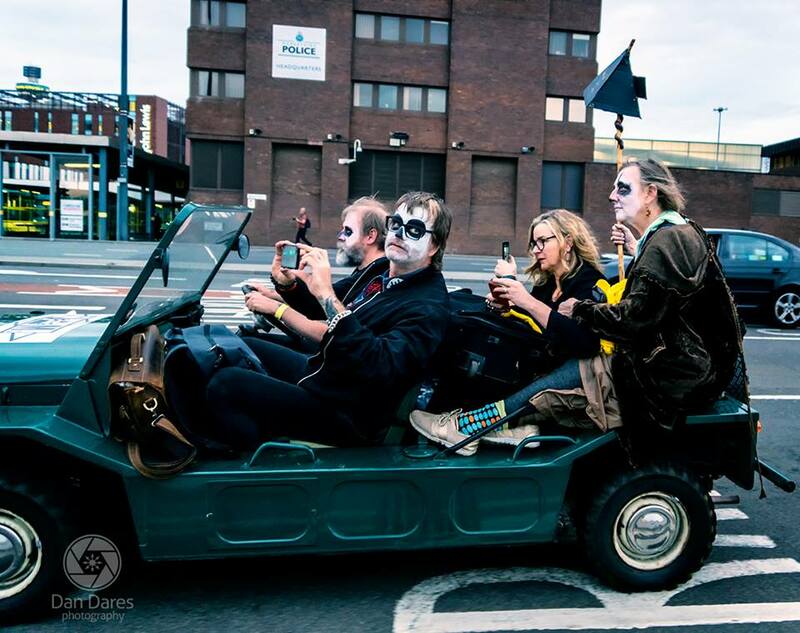 A creative giddiness infected the 400 as they dispersed across Liverpool, spreading word of #BadgerKull and generally causing good-hearted chaos. We reconvened at The Black-E in the evening for the public hearing asking, Why Did The K Foundation Burn A Million Quid? The self-imposed 23-year moratorium was over (retro-fitted to the date of the money burning itself, not the date the contract was signed on the car and pushed off a cliff) and Drummond and Cauty had decided to turn to five panel members, a few select witnesses and ultimately the 400, to help them make sense of what they did on that fateful night in a boathouse on the Scottish Isle Of Jura. Each of the 400 (or at least 367 of them) were given a pound coin upon entering The Black-E – no explanation was offered, other than not to spend it. The conceptual artist Jeremy Deller – responsible for the ‘Strong and stable my arse’ posters seen around London earlier this year – explained that he saw the money burning within the context of destruction as a form of creation, highlighting other artists who’ve utilised it as a tool to highlight a corrupted art scene; with acts like painting a canvas with acid for example. Founder and editor of The Idler magazine, Tom Hodgkinson provided a somewhat whimsical explanation of how it was Drummond’s stern Presbyterian work ethic that pushed them into burning the money amidst what he saw as a nervous breakdown in both men, whilst radical economist Ann Pettifor saw it as a form of ‘quantitative tightening’, arguing that the pair had wanted to forgive what was owed to them by the bank of England. Vice journalist Clive Martin positioned the burning at the beginning of a new relationship with money, where it becomes and abstraction that doesn’t hold the same value, especially to millennials. Academic and Brighton University lecturer Annebella Pollen provided the most compelling argument however. 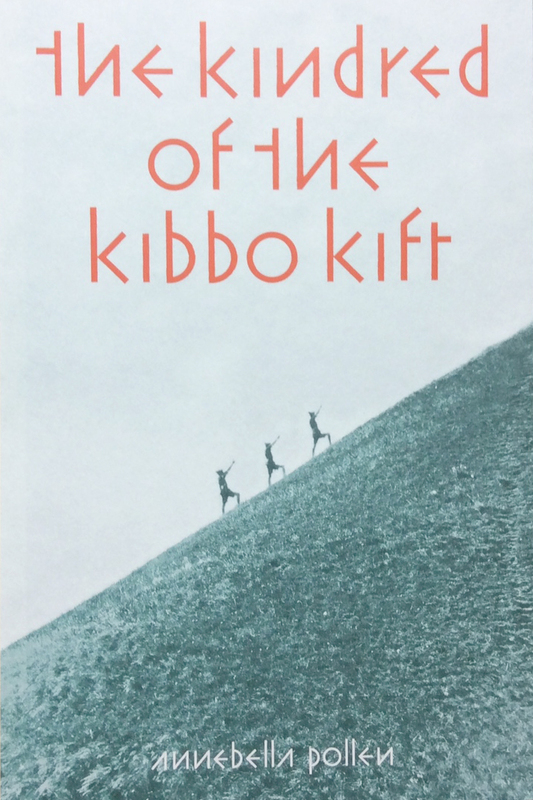 Looking back to the 1920s, she made links between The Kindred Of The Kibbo Kift; a group she’s written a book on, who sought to create world peace through building strong individual character and developing mental discipline – H.G. Wells counted himself as a member. 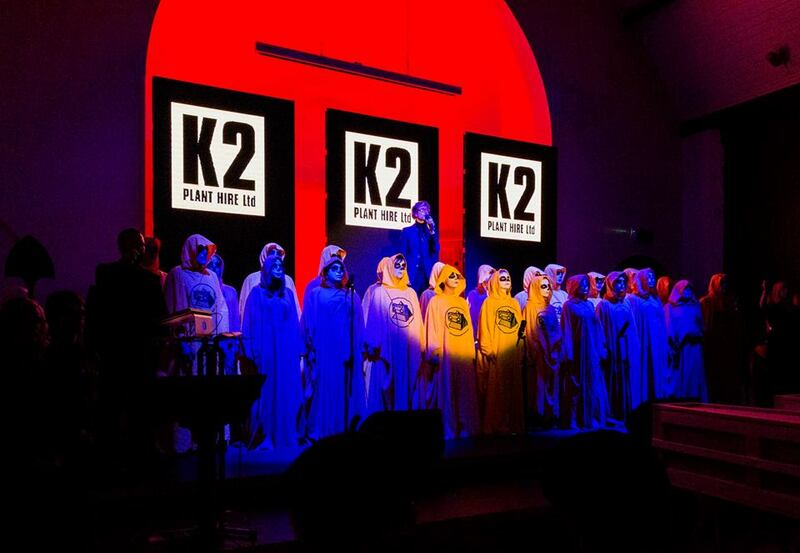 Ceremony was a big focus of the Kibbo Kift and served to give more meaning to a post-war world that was becoming increasingly less spiritual. For Annebella, the money burning followed in the Kift’s tradition, not because they had burned money but because it was a ceremonial rejection of excess that followed in an ancient tradition of “high-art weirdness”. We also heard from witnesses including Gimpo, who’s handheld camera footage is the only first-hand evidence of the money burning (aside from the ashes, now in the form of a brick); journalist and the only other witness Jim Reid, who wrote a piece for The Observer about the burning; The KLF’s publicist Mick Houghton, who explained the steps in their thinking that led them to the logical conclusion of burning the money plus Angie Sammons and her rabble, who were present at the original screening of the money burning in Liverpool and recalled the rowdy indignation which culminated in a stage invasion. Nonetheless, it was put to a vote, with the pound coins placed in buckets representing each of the 5 panel members, church collection plate style. 23% of the vote would determine a winner, if no winner was decided upon then there would be another 23 year moratorium… Annebella was a clear winner but when condensed into a sentence synopsis, her argument lost much of its potency. This resulted in Drummond simply replying “whatever…” when he was brought in to hear the verdict with Cauty. Despite the blaring omissions the evening raised some interesting points but was ultimately inconclusive – this was always going to be the case. Meeting in the morning at the Bombed Out Church, the 400 were informed that this was ‘The Day Of The Book’. Cauty and Drummond ripped pages out of ‘2023’ and distributed them to the 400, who were told they were the keeper of that page and would find new meaning in its words and to take inspiration from them. Everyone was instructed to find the keepers of the other pages in their chapter and to form groups. With a vague and open-ended briefing they were informed they had to make something out of their chapter, which would be performed/recounted to the crowd at the open-air church and recorded in the ‘Grapefruit Are Not The Only Bombs’ book atop the altar. 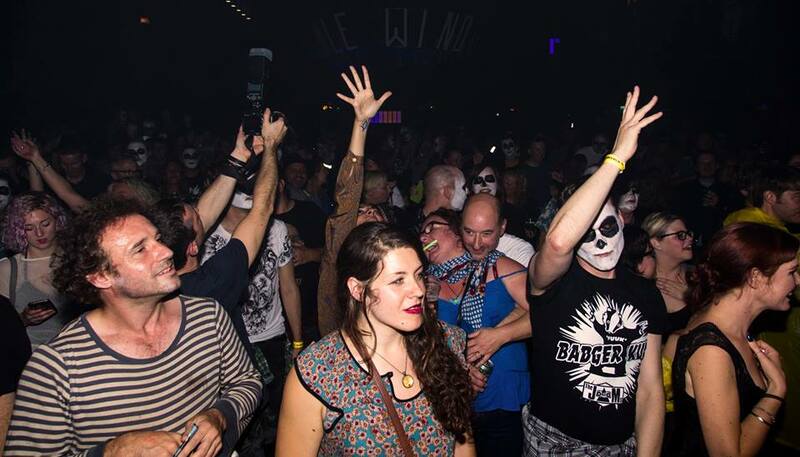 The groups of previously unacquainted strangers spilled out into the city and added to the random acts of mischief and minor vandalism the Badger Kull super fans had already undertaken. Working together they subverted, created and generally disrupted the norm with all kinds of capers including the worship of the Mathew Street John Lennon statue (see video below), various pranks involving Starbucks, the sending of a letter to Yoko Ono, ‘2023’ pages being placed in numerous books in central library, the assembly of the Fox Templars and the sing-along performance of the 2023 Christmas #1, ‘Fuuk The World’. Soup was shared amongst everyone in the church as we worked through the chapters. On the final day the first stop was The Florrie, which was bubbling with the same kind of fluorescent chaos and unrestrained magic as when it hosted our 14 Hour Super Weird Happening on April Fool’s Day. 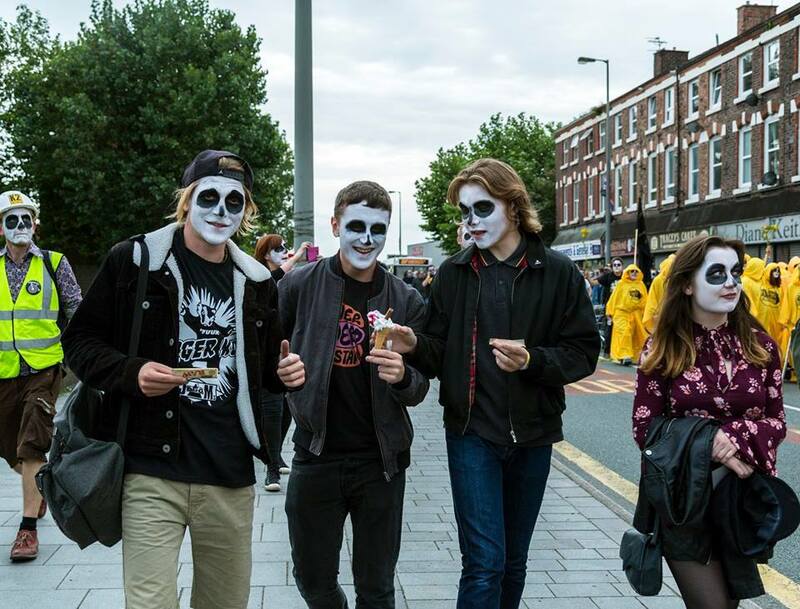 Faces were painted in a Día de Muertos style, which also left everyone looking somewhat badger-like and anticipation grew as the crowds mulled, awaiting the screening of ‘The Rites Of Mu’ in the main hall. A psychedelic barrage of symbols, slogans and visual metaphors, the screening added more intrigue to ‘2023’, with images of burning pyramids, scarecrows, all-seeing eyes, tangerine nightmares, corporate branding and Putin’s art war, soundtracked by an eerie soundscape that bellowed around the room. In terms of meaning, the film was very open to interpretation and will no doubt make a lot more sense when the trilogy has been read. Once ‘The Rites Of Mu’ had finished, Claire and Rupert Callender from The Green Funeral Company took to the stage with a cigar-smoking Papa Ghede and introduced themselves as ‘Undertakers to the Underworld’. As they started their afterlife pitch, the point of the whole weekend became apparent; Drummond and Cauty had brought us all together to sell shares in their own style of pyramid scheme… A new company, Callender, Callender, Cauty & Drummond Undertakers had been formed and what they were offering was the chance to add your ashes to a £99 brick and be a part of ‘The People’s Pyramid’ that’ll eventually stand proudly somewhere in Toxteth. 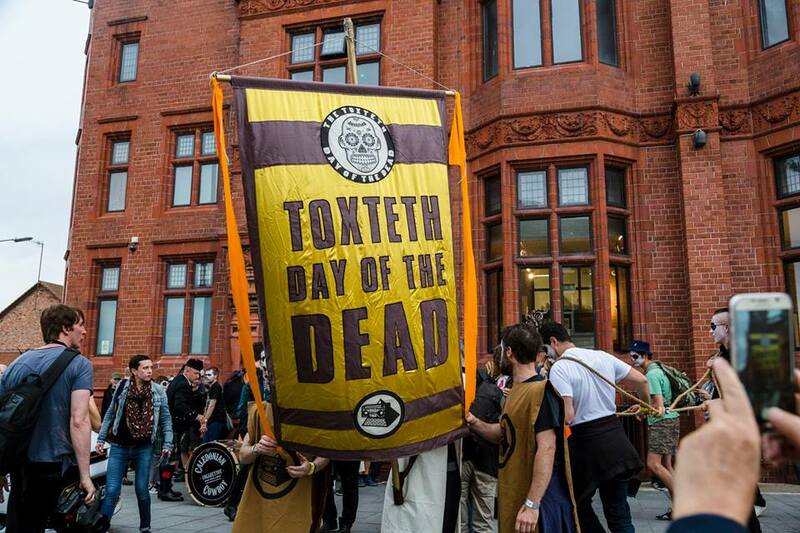 It was also revealed that the first annual ‘Toxteth Day Of The Dead‘ will take place on 23rd November 2018. This raised the very pertinent question of whether we’d now moved into the territory of a cult, it was certainly starting to feel that way as the event progressed. Really though, this was a stroke of genius and another highly inspired step in the mythological narrative Drummond and Cauty have built around themselves. Not only is this almost definitely the first time we’ve seen an act who’ve reached the height of the charts move into the undertaker business but also what they’ve done is create the first tangible creed for the metamodern age. What The Toxteth Day Of The Dead and The People’s Pyramid represent is the first denomination completely free of dogma; you can take it as seriously as you like. Some people might view it as one of Drummond and Cauty’s latest ‘pranks’ and sign up for a laugh, whilst others might bestow it with great meaning, taking ‘2023’ to pieces in search of esoteric teachings, whilst making pilgrimage to Toxteth every year on 23rd November. 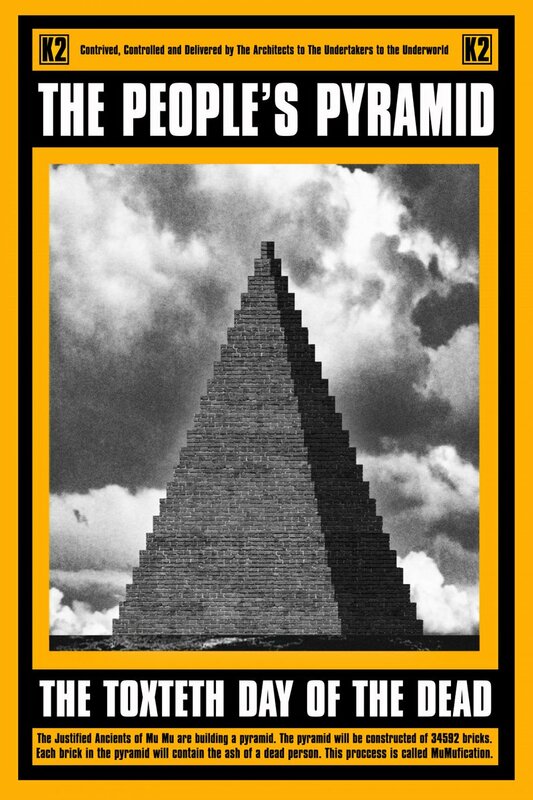 The People’s Pyramid will be designed by Static Gallery (Dead Perch Lounge) owner and architect Paul Sullivan and will consist of 34,592 bricks each filled with an individual’s ashes in a process known as ‘MuMufication’. This is something that will go on long after we’ve all left our mortal coils. This idea resonated amongst the 400 for the rest of the day. 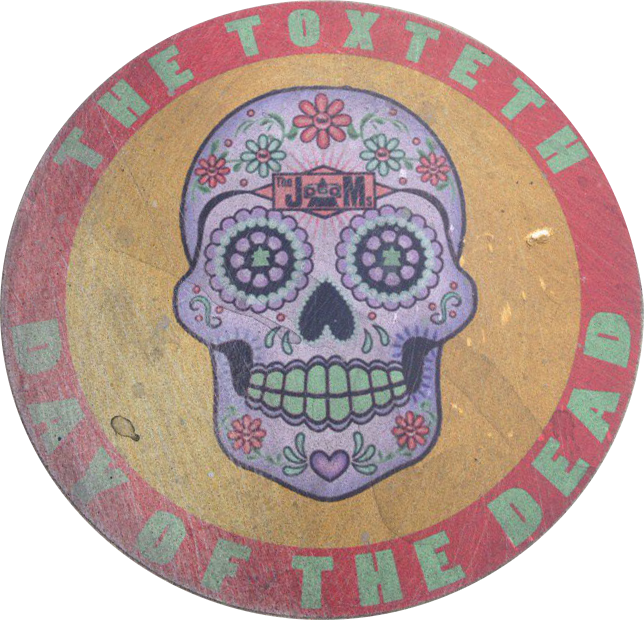 A procession of hooded characters, led by a giant Toxeth Day of The Dead flag, filed into the main hall towards the front of the stage, placing down a coffin. A solitary hooded character made their way to the top of the stage before unveiling themselves to a collective gasp. Like much of the week’s secrets, a blatant clue to the fact Jarvis Cocker would be joining us was hiding in clear sight; the hymn books placed on each chair in the room had lyrics to ‘Justified & Ancient’, which were modified to say, “They called me up in Sheffield town. They said, Jarvis stand by the JAMs”. Jarvis Cocker gave us his own distinctive interpretation of ‘Justified & Ancient’ and led the congregation in a collective rendition that unified the room and set us up perfectly for the next step; The Great Pull North. With a name inspired by the natural phenomenon where fish make an epic upstream journey Northwards to spawn the next generation to continue in that tradition, The Great Pull North was perhaps the most ambitious part of the whole week and saw the Ice Kream Van dragged all 3 miles from the Dingle to the North Dock. The parade of discord was led by a bagpipe player, drummer and cheerleader who kept chanting “what the fuuk is going on?” The collected traffic cones had been transformed into ceremonial hats, the shopping trolleys had been filled with the masses of flowers that had been acquired and people frantically assured there was always a path of ragwort and buddelia for the Ice Kream Van to ride over. Just as we set off, another ice cream van arrived to a mass cheer and a handful asked the driver to ‘make theirs a 99’. The 400 were given yellow hooded robes (macs) as we moved out of the suburbs and into the heart of the city, causing a huge spectacle. Adhering to traffic laws where possible, it was actually a lot less chaotic than it could have been and a few high vis ‘officials’ did well to organise around the traffic and fend off the police, who found the whole thing as hilarious as we did. The parade moved onto the pavement as we continued up past Liverpool’s waterfront landmarks at the perfect moment to catch the setting sun. The police began to grow weary as we moved back onto the road and subsequently started moving towards blocking us in. What happened next will go down in legend; led by Gimpo, the volunteers began to push the police van out of the way – it was simply an obstacle that needed to be overcome. Because their was no venom or malice from the crowd, the police accepted their fate with a laugh and allowed us to proceed to the ritual site. 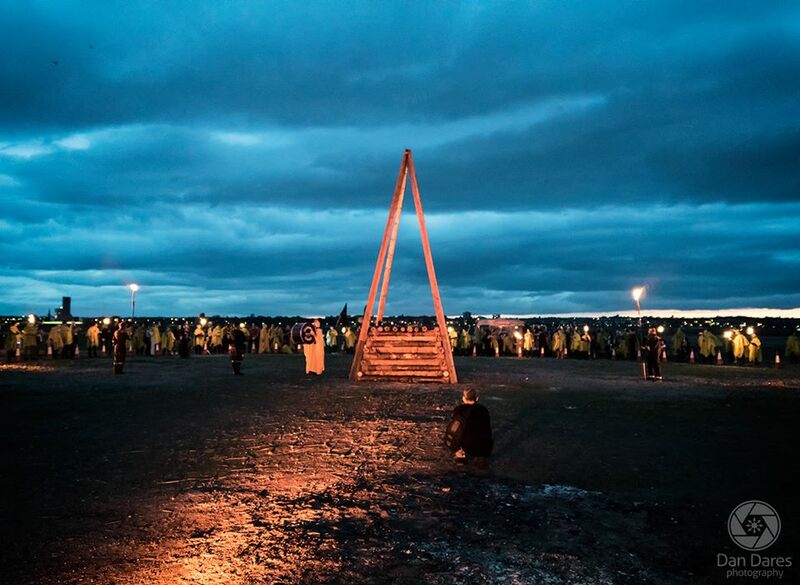 The Ice Kream Van was taken to its final stop and the 400 formed a circle around the giant wooden Funeral Pyre, gifted with a picturesque view of the Mersey in the last light of the day. 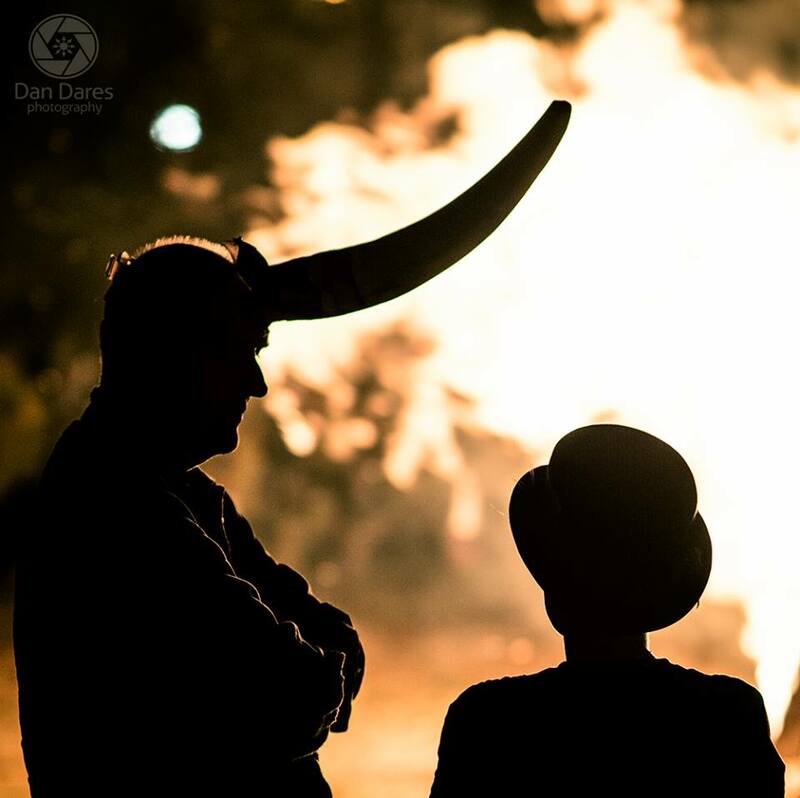 The two coffins were placed in the middle of the Funeral Pyre and The Justified Ancients of Mu Mu adorned their iconic ritualistic horns and set the whole thing ablaze. What was inside the coffins, if anything, was never revealed but the ceremony was deeply profound, nonetheless. What was supposed to happen next was the catching of a live perch by Drummond, which was meant to have been released downstream earlier in the day, in the hope it would swim against the current and back into the hands of Drummond. However, all the perch had died – they were staying in The Dead Perch Lounge, it never really boded well for them – so one of the dead perch was released into the Mersey and allegedly caught by Drummond – this does seem like a tall order but then again you’ve got to have a myth. 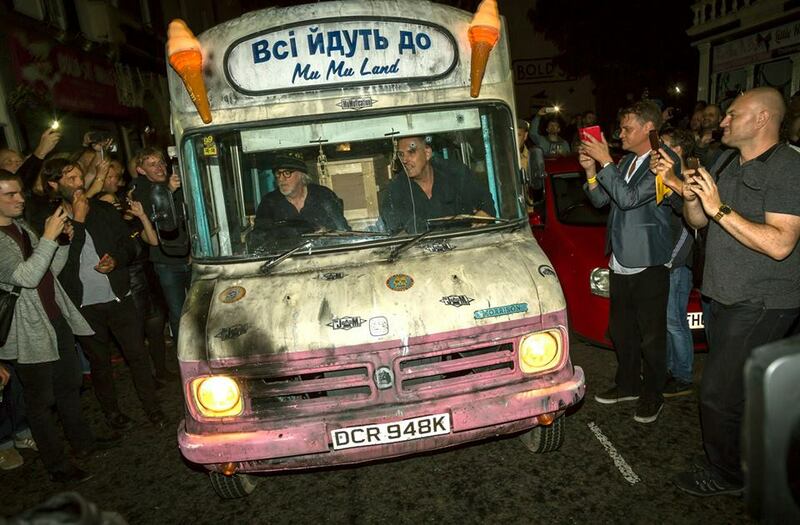 As the fire died down the Ice Kream Van offered the £99 bricks for The People’s Pyramid to the 400 and everyone gradually made their way across the street into the Invisible Wind Factory. When they got there they were greeted by a queue of people dressed in ‘civilian’ attire, who’d never truly be able grasp what the 400 had just undertaken. Although many might have followed it all via social media, there are certain things that can’t be captured or explained. Greg Wilson has never followed a ritualistic burning before so it was hard to predict what he’d play at the Graduation Ball. Like when he’s played the other similarly psychedelic countercultural gatherings in the past, we got some of the familiar laced with some of the more obscure and of course a few of nods towards what had just occurred, including the first track Moodswings’ ‘Spiritual High’ and the last track, The Doors’ version of ‘Light My Fire’. The much hyped and eagerly anticipated Badger Kull were up next. They arrived onstage with their musical director, Wah! founder Pete Wylie, and the four bass players played through their single three-minute song, that contains no more than 5 lyrics, to an elated crowd. With that kind of set-up, their sound is understandably hard to explain but the best we’ve heard so far is “the musical equivalent of a strobe”. The cut and paste sculptor, DJ Food followed, drawing things to a close with a quick-firing sonic journey that constantly shifted genres and took in plenty of KLF references along the way. Welcome To The Dark ages had all but finished – a final presentation about the architecture of The People’s Pyramid concluded things the following day at the Dead Perch Lounge and then The JAMs and the Dead Perch crew were no longer to be seen. In a way it felt like everything over the past few years had been leading to this, from the moment Super Weird Substance was formed and we all devoured John Higgs’ gateway drug, through all our Super Weird Happenings, Festival 23, both productions of the Cosmic Trigger and various other mycelium manifestations. Far from being an end-point however, Welcome To The Dark ages was actually just the beginning; in that it laid the foundations for a new form of event that’s almost indefinable; a gathering that builds a narrative for the collective to live inside, slowly make sense of and reinterpret in their own way, whilst simultaneously spreading the ‘situation’ as far and wide through the surrounding area as possible. This network of different groups have all been moving towards this end for some time and the core is stronger than ever now, and will no doubt grow stronger with The People’s Pyramid. 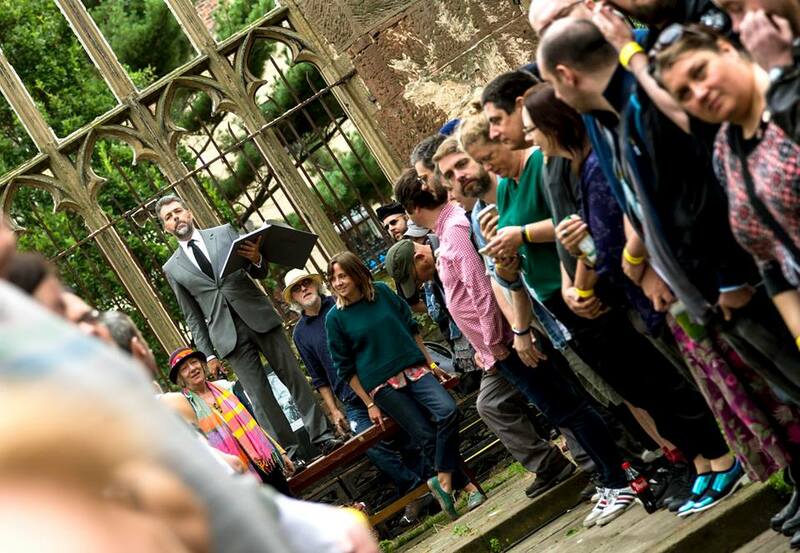 Further to this, joining the ranks of Northampton, Brighton and even Youth’s Spanish Space Mountain retreat, Liverpool has formed the latest Arts Lab and is hoping to continue in the same vein as that life-affirming second day at the Bombed Out Church when they have their first meeting later this week. The work-ethic, imagination and real world vision of Drummond and Cauty is truly inspirational and they re-emerged at a time we needed them the most. 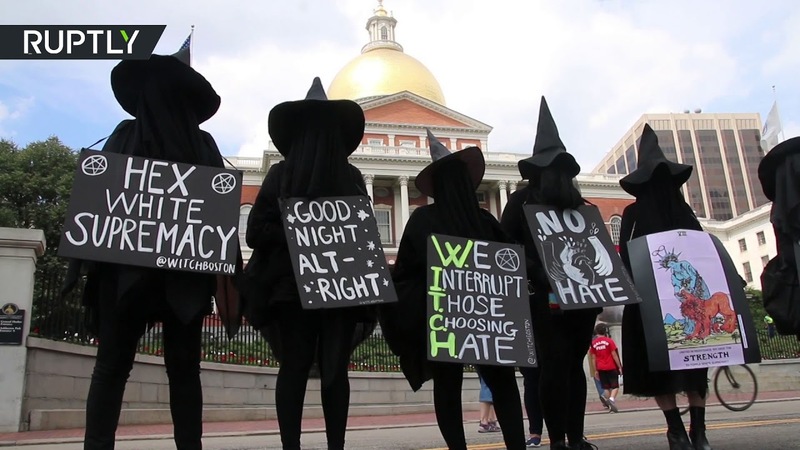 I’m sure Welcome To The Dark Ages was a weird and wonderful spectacle from the outside but to those 400 on the inside it was a transcendental adventure that they’ll never be able to properly transmit to the outside world.